New Years 2009, we celebrated in my childhood home. Before the countdown I ventured into the attic and found all sorts of old Spy Guy art from my high school years a lifetime ago. 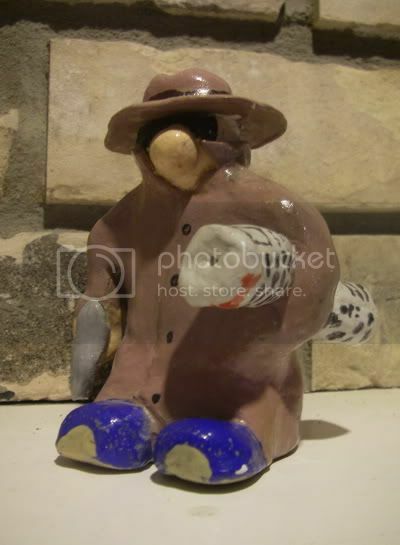 Among these ancient artifacts was this sculpture – the only 3 dimensional physical representation of Spy Guy in existence. It now exists on my mantle. Behold retro Spy Guy.